Early Bird Easter Special! Book before 10.02.2016 and get 15% off! SECOND SYDNEY SHOW ADDED DUE TO DEMAND! 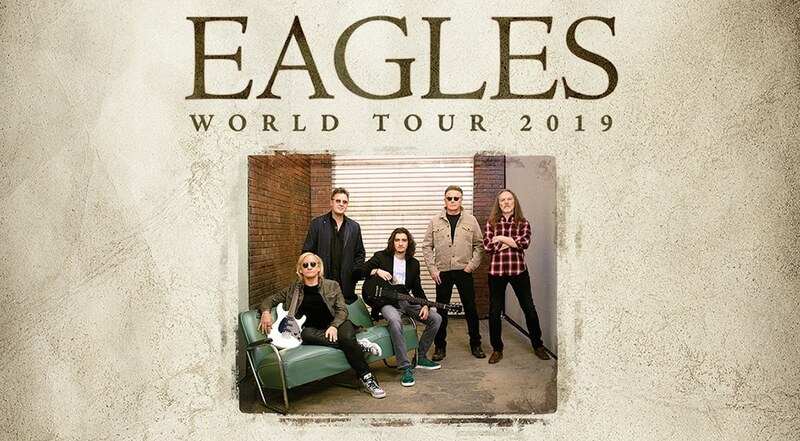 Frontier Touring are delighted to confirm that seminal American rock band Eagles will bring their critically-acclaimed Eagles World Tour to Australia and New Zealand in February and March. The best-selling American band of the 70s and one of the top-selling acts of all time, Eagles’ appeal continues to transcend both generation and genre. Since forming in Los Angeles in 1971, the band have sold more than 150 million albums, scored six #1 albums and topped the singles charts five times. Comfort Burwood and Suites is an affordable, friendly and comfortable hotel that is situated only 15 minutes away from Qudos Bank arena for your convenience. This is the motel of choice for families and anyone attending events in Olympic Park. If you are coming to Sydney to see The Eagles in 2019, book your accommodation with us today. Our location provides easy access to public transport and everything that Sydney Olympic Park has to offer, call now to make a booking before we fill up on (02) 9744 0521.